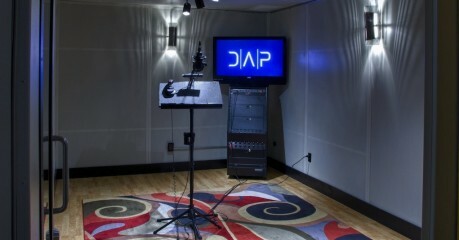 hether for a long-form project spanning weeks with multiple talent around the country, a 10 minute sit-down radio interview, ADR, or a VO for a commercial spot, our systems are designed to deliver great recordings no matter what. We run a standardized recording chain that does not change over time, so if you need a one-line pickup a year after the project was initially delivered, we can punch the line in and match your original exactly. Our large and flexible recording spaces can accommodate multiple voice performers at one time, each with sight lines to the other and independent headphones.